Welcome to Conrad Bora Bora Nui, a luxurious resort in Bora Bora overlooking a world-famous lagoon. A place of relaxation, clear water, and breathtaking overwater villas. Every turn is a real-life instagram photo. Some amenities include a full-service spa on the hilltop, an Infinity pool, mini golf, luxurious dining options like a sunset lounge with a glass floor and access to the resort's private island, Motu Tapu. Staying at this resort was simply paradise. 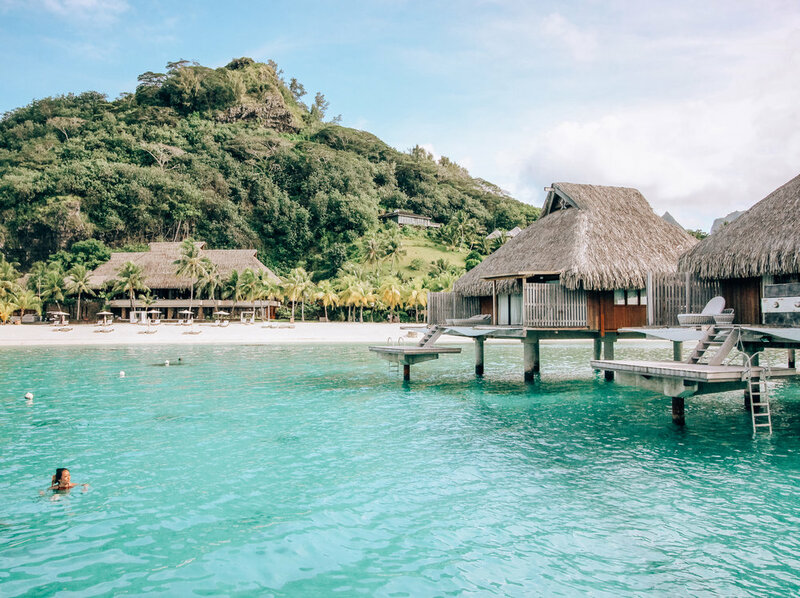 Whether you're planning a tropical getaway with friends or your honeymoon in French Polynesia, I highly recommend getting an overwater bungalow. After arriving by plane to the island, a boat will take you to the resort. Upon arrival, we were greeted by a personal guide who welcomed us with refreshing drinks and gave us a tour of the entire resort by golf cart of course. We were then dropped off at our villa to relax. If you are wondering if you should bring your expensive camera equipment, the answer is yes! I shoot my photos with either my Canon t3i DSLR or my iphone 7 plus. I also brought my GoPro Hero Session (extremely crucial to bring some type of waterproof video camera if you plan on doing a variety of underwater activities) and two lenses for my DSLR: the 50mm and 10-18mm (Portrait & Travel Kit). These were great for close up shots and wide angle shots. Also bring extra SD cards. To save bag space, get an Ape Case which basically turns any bag into a camera bag. We stayed in the King Overwater Villa, which has a private waterside balcony with two hammocks and a step ladder that leads straight into the ocean. 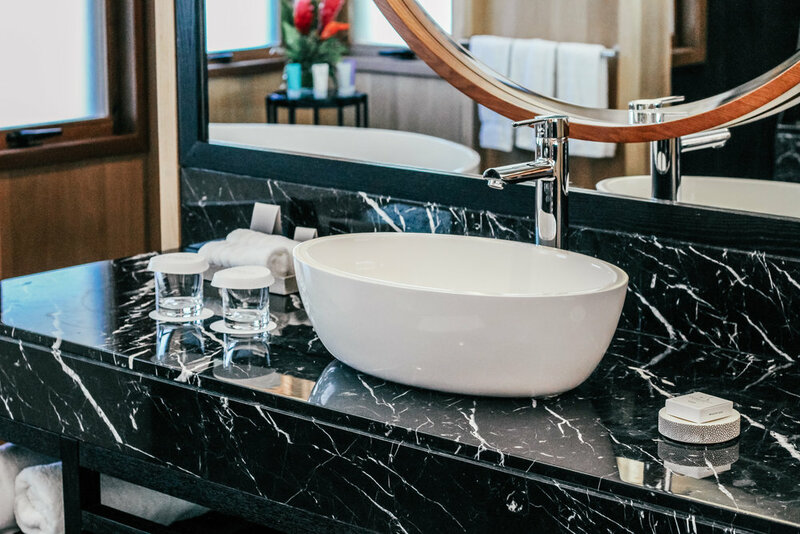 The bathroom was serious bathroom goals with its marble tops, circular mirrors and tub. Overall the villa feels very luxurious, is very spacious and can fit up to 4 people. Imagine waking up to this paradise and taking a morning bike ride to breakfast. And if you want to be extra bougie, you can even have your breakfast brought to you by canoe to your bungalow. Highly recommend checking out the Conrad Bora Bora Nui if you're planning a trip to French Polynesia. This is honestly hands down the best resort I've ever stayed at. Stay tuned for a collective travel guide to French Polynesia including things to do in Mo'orea and Bora Bora. Will be doing a more in depth guide on what to bring as well.